Major news at Royale Racing, we are excited to announce that we are forming a partnership with Cloverleaf Auto and will be greatly increasing our presence at Vintage speed events as well as general club, slalom, and rally events throughout the North East. Royale Racing, can now offer premier car preparation, in house services and repair. These services are in addition to the existing parts, transport, storage, and track-side support capabilities. Cloverleaf has been deeply involved in the Vintage Racing and Rally world since 1989, and is entering its 40th year of business. In an effort to always reflect the strategic relationship between CloverLeaf Auto and Royale Racing, we developed a strategic ‘flag’ to symbolize the partnership. This will be used on all future regalia, business cards, etc.. (check out the tab on your browser) as a symbol to link our individual companies. 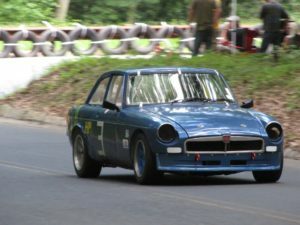 To continue our support of the vintage racing community, Royale / Cloverleaf Auto has purchased a 1974 MGB GT original vintage racer and will offer the car as a rental for all racing enthusiasts (Hill Climb, Vintage Racing, Solo). This Level 1 car has a full cage and is not only compliant with vintage racing organizations but also the SCCA Rules & Regulation. We will continue develop the car during our relationship to showcase the best of what Cloverleaf and Royale Racing can offer their customers. So stop by the shop and check out our latest addition to the partnership. 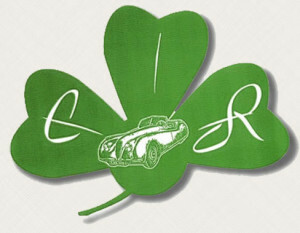 CloverLeaf Auto and Royale continue to form strategic relationships that leverage the best of both entities. Starting in 2018, Royale / CloverLeaf Auto now build Formula Ford motors as an alternative to DIY or Pro-Built expensive motors. Royale is running 2 of the motors built to date w/ success; 2017 Series Winner for Formula Ford with the Royale RP36. Feel free to drop us a line as you head into the off season and are looking for a refresh to discuss options!